The man known as 'AMLO' is in high demand, with desperate Mexicans mobbing his offices to demand assistance. Each morning hundreds of Mexicans crowd at the gates of 216 Chihuahua Street in the capital, home to the white, two-story building that served as President-elect Andrés Manuel López Obrador's campaign headquarters. "He has told us he is going to provide for us, help us and change the country," said Jasmine López Peralta, a 45-year-old nurse who has been without stable work for two years after her hospital said it could no longer pay her. "So that's why we're coming to him." This personalised, almost-religious faith in López Obrador to help people is fed by his image as a fighter for the poor and his promises to end what he calls a corrupt "mafia of power" that has protected its own interests at the expense of those on society's lower rungs. The daily scene outside his offices in Mexico City's Roma Norte neighbourhood reflects not only a breakdown in the ability of government at all levels to solve people's problems, but also the depth of expectations that López Obrador is the one to finally change millions of lives after years of disappointment. José Antonio Crespo, a political analyst at Mexico's Center for Economic Research and Training, attributed the phenomenon in part to the country's history of rule by "caudillo," or strongman, and also to the populist promises and common-man persona projected by the man nicknamed "AMLO," after his initials. 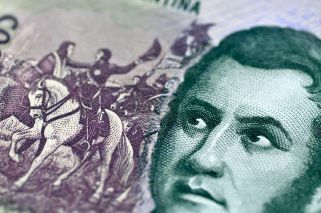 "The expectations that López Obrador has created in terms of truly solving the tremendous number of problems we face are more believed than" with previous leaders, Crespo said. "Presidents always promise to solve problems; they almost always offer a kind of utopia. With López Obradorit is even beyond utopia ... fixing corruption, fixing the violence that has worn us out for the last 12 years." López Obrador's proposals for how he intends to govern were murky at best during the campaign, and few concrete details have emerged since the July 1 election. On Sunday he said he would slash his presidential salary by over half. He has previously proposed raising pensions and creating a system of paid apprenticeships for underprivileged youth. That brought Hermenegilda Mercado Yáñez, a 69-year-old homemaker, to AMLO headquarters recently. She said her incarcerated son was falsely accused of strangling his wife. "We'll see if he helps me get my son, who is innocent, freed. ... Because he said he was going to offer amnesty," Yanez said. 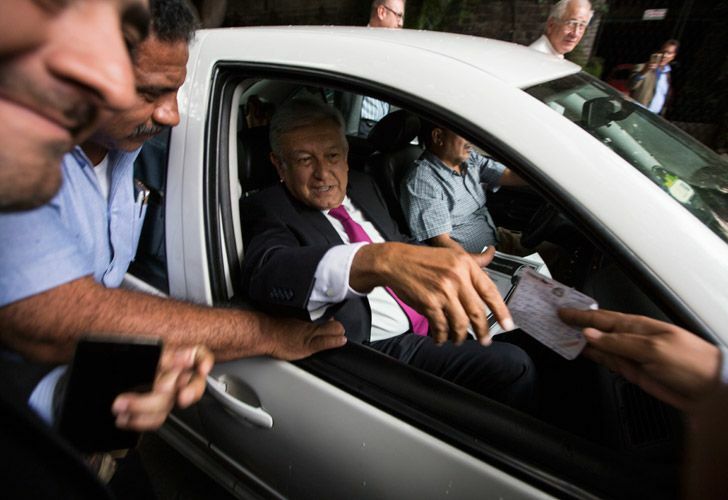 Even after the election, López Obrador has maintained his trademark modest personal style, rolling through the city in a white sedan with the windows down and no bodyguards. The only security at his offices is a simple white fence topped with electrified wire and a rotation of two apparently unarmed guards. Teodoro Pérez Cruz, a 72-year-old who is partially blind and homeless, said he walked from the southern borough of Iztapalapa — about 15 miles (24 kilometres) — to ask López Obrader to help him get a place to live. Yanez traveled from the town of El Oro in the State of Mexico, at least two-and-a-half-hours by car or bus. Instead they are met by Leticia Ramírez Amaya, a member of López Obrador's Morena party who has been tasked with attending to those at the gates. While they wait in line, they get a short survey to fill out that asks for their name, age, address and other information. One by one she calls their names and escorts them through the gates to speak with her and other staffers. Ramírez said most of the requests are health-related from people who have already tried and failed to get help from lower levels of government. On Saturday, one woman wept and clutched at the bars as she called out to López Obrador, who was holding a press conference, begging him for help paying for a surgery for her mother. "We will be right with you," López Obrador promised, prompting a smattering of applause from those gathered. Ramírez reminds people that López Obrador does not take office until December 1 — but says that then he will have the power to fix problems. "We don't make promises for anything," Ramirez said. "We tell the truth about what can and cannot be done." After López Obrador, who was elected in a landslide, is officially designated as president-elect he will have access to more permanent offices for the transition as well as a paid staff. Once in office he plans to work out of the downtown National Palace and continue living in his modest home, eschewing the Los Piños compound where presidents traditionally take up residence. Irma Moreno, 56, woke up at 4am. to travel from San Salvador Atenco on the outskirts of the capital and be first in line on a recent day. She was accompanied by fellow activists who oppose the construction of a new Mexico City airport that López Obrador previously said he would reverse and now says he will review. Moreno said none of AMLO's rivals would be listening to citizens had they won the election. "I hope he is (different)," she said, "and I hope we didn't fool ourselves."